Bali is popular for having some of the most stunning waterfalls in Southeast Asia. There are so many you might find it hard to choose which one to visit out of all Bali waterfalls. 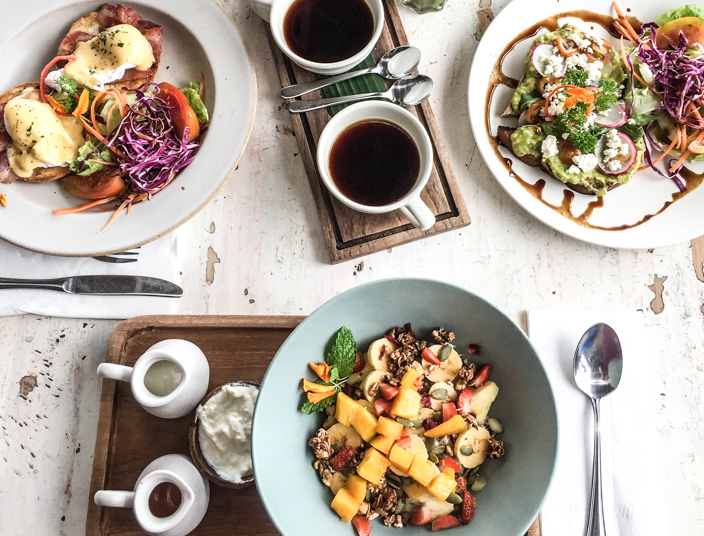 To make it easier for you we asked 3 popular Instagrammers to share their favorite ones. 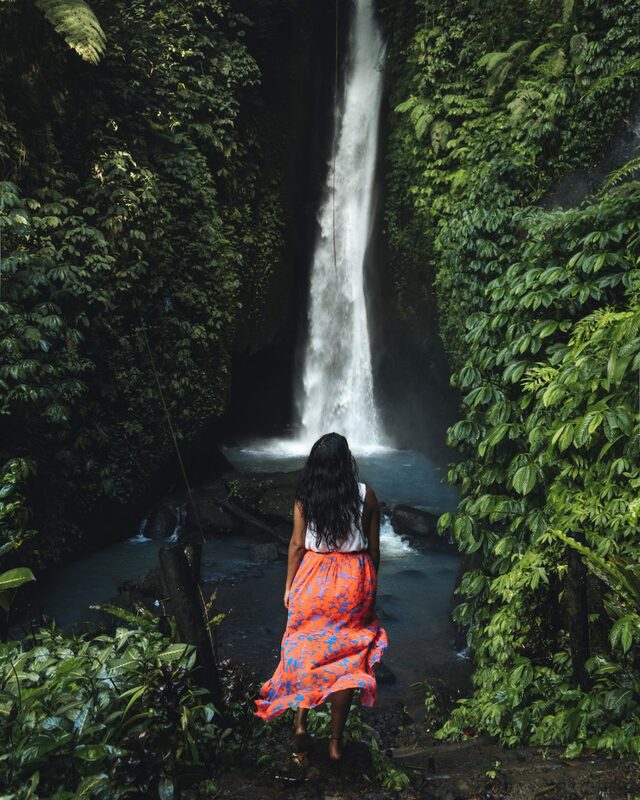 The most important tip we have for visiting the Bali waterfalls is to try to get to them as early as you possibly can! If you want to get the best chance of having a waterfall all to yourself, we suggest you wake up before sunrise to head off on your adventures before anyone else is even up! 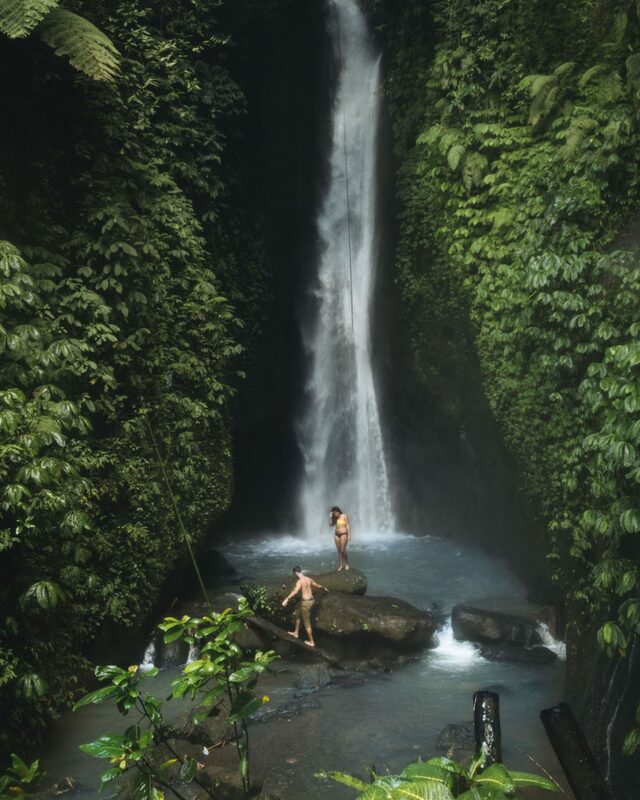 The most beautiful waterfalls are mostly located in Northern Bali, which means it can take more than 1 hour to drive there from popular tourist areas like Canggu or Ubud. So rent a motor scooter and make sure to set your alarm early! The 500 or so treacherous steps that lead the way to Nungnung are honestly not fun (especially when you have to climb back up!) but they definitely make the whole experience even more exciting. After your hard work, you’re rewarded with a view that is breathtaking! The force and height of Nungnung waterfall left us speechless the first time we visited. Because the flow of water is really strong, the current makes it hard to swim but you can still take a very refreshing dip and if you’re not in the mood for a swim, the strong mist is still a great way to cool down after all that effort! For great photo opportunities (if you’re feeling adventurous with your camera), climb the rocks to the right and you’ll be able to center your subject with the waterfall. We had never heard of Kuning Waterfall until we saw an Instagram photo of this beautiful fall that didn’t have a location tag. We spent some time researching Google maps and eventually found this hidden gem! The steps down to this Bali waterfall are extremely steep but don’t get discouraged! When you get to the bottom, you will reach a beautiful set of natural pools with very few other people around. This is one of the best waterfalls to swim in (although the water is really cold!) without getting completely soaked from the mist coming from the fall. Out of the three Bali waterfalls we visited on that day, Kuning was our absolute favorite! 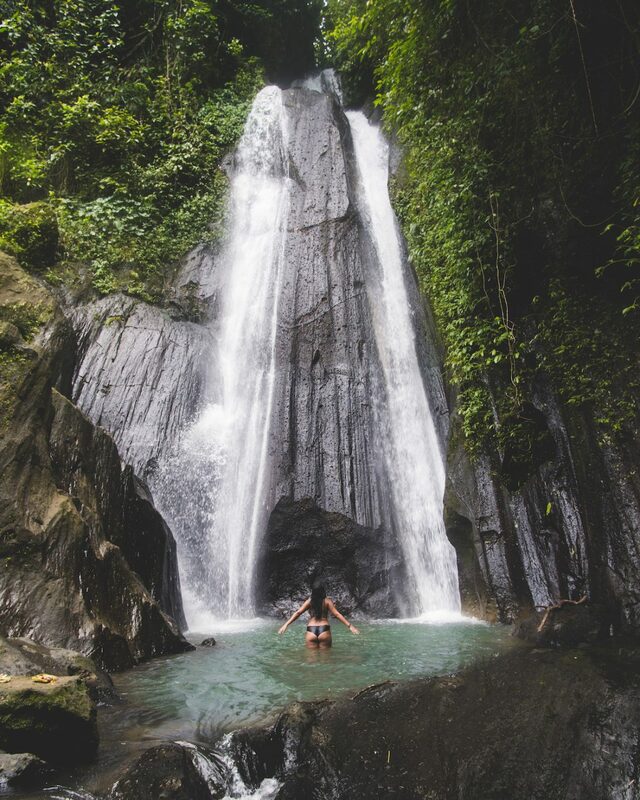 If you don’t want to drive for hours to get to one of the beautiful Bali waterfalls and neither want to visit a place that is crowded with other tourists, Leke Leke is the place for you! 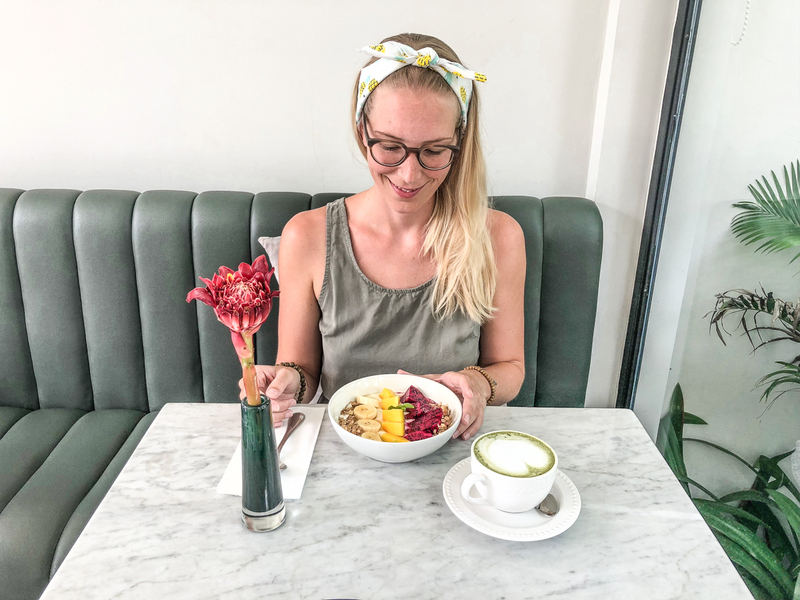 Even though we had driven past the sign to Leke Leke many times, we only decided to visit this one towards the end of our time in Bali and we’re so glad we did. A beautiful, relatively easy (but muddy) walk will lead you to the waterfall. 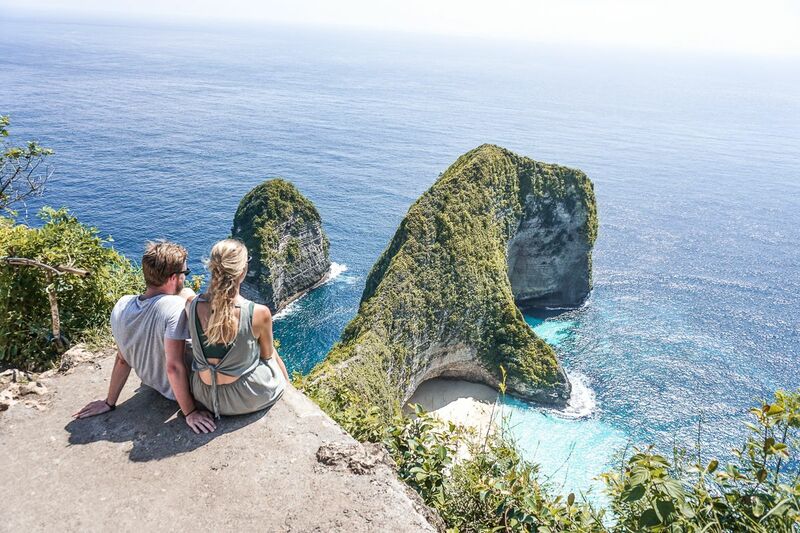 If you’re planning on driving to Northern Bali to visit the Ulun Danu Beratan Temple, the famous Bali Gates or Sekumpul waterfall, you should definitely stop at Leke Leke as it is on the way! 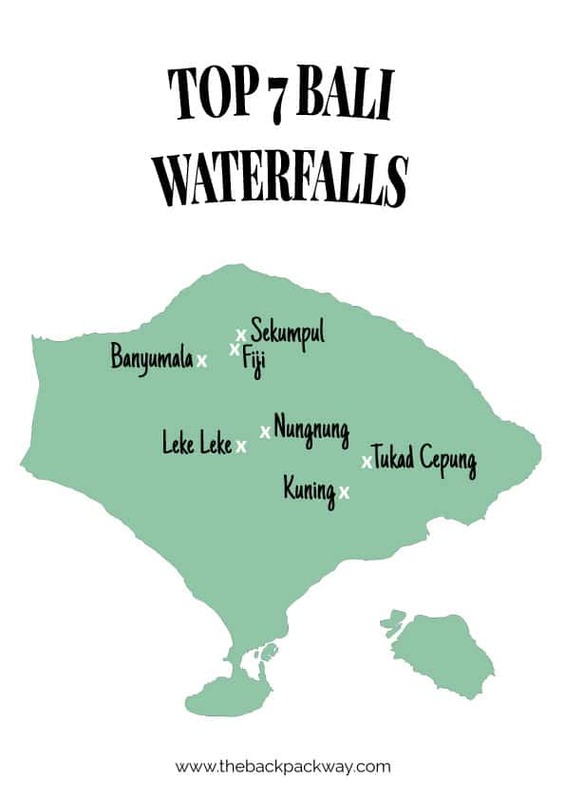 Our tip for finding the top Bali waterfalls is using Maps.me. We experienced it to be much more accurate and helpful on Bali than other maps. 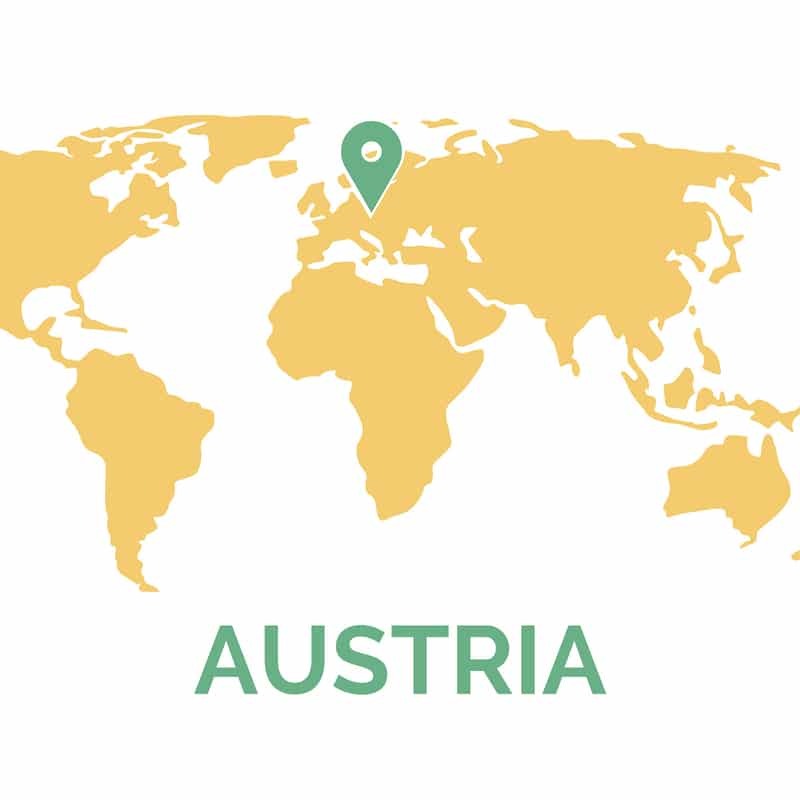 Furthermore, you need to know that some waterfall parking lots are occupied by locals offering different tour packages and that it’s not possible to continue your trip from those places without paying for a guide. We tell you below how we managed to discover Sekumpul and the not so popular (yet beautiful) Lemukih waterfall on our own. 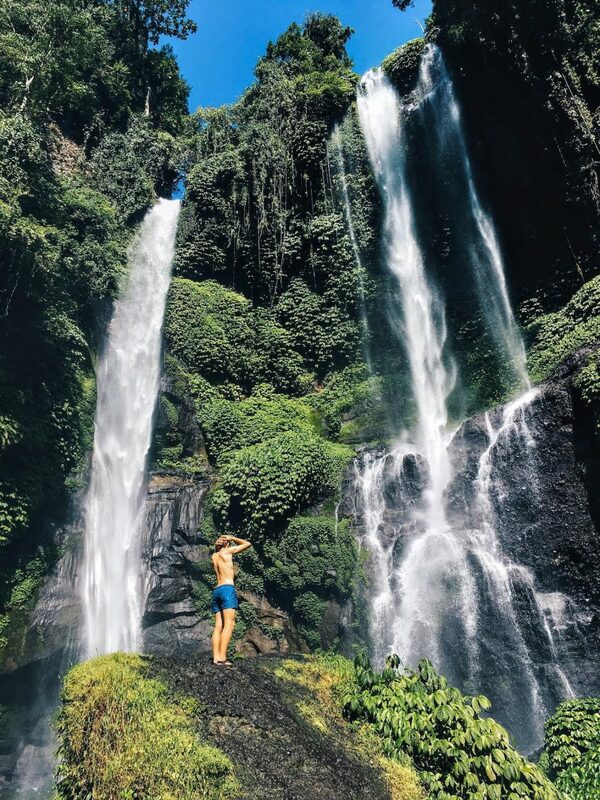 Sekumpul waterfall is hyped by every top waterfall list as the most beautiful and highest waterfall in Bali. So, there was no way we could have missed that waterfall while on the island. Even though getting to the waterfall isn’t easy, Sekumpul is so worth the effort. With its two powerful streams falling from great heights we immediately understood why this fall makes it on every top Bali waterfalls list. The best way to get to the waterfall is either by car or motor scooter, there is no public transportation. We absolutely recommend taking a scooter since the last part of the road is really narrow and only reachable by scooter. We first arrived at the ‘Northern Entrance’ where we were greeted by local tourist guides showing us different tour packages to the waterfalls starting from 135.000 IDR. Since we wanted to climb down to the falls by ourselves, which wasn’t an option at this entrance, we continued our journey to the ‘Southern Entrance’. After driving for 15 minutes, we arrived at Lemukih village where we had two opportunities: take a guide or make a donation for upkeeping the waterfall. We decided to donate 20.000 IDR and were provided with further directions. It turned out the correct road to the entrance was just behind the corner. On the way, there were many parking lots but we decided to drive as far as possible, which was a great decision as the road was about 2-3kms long. 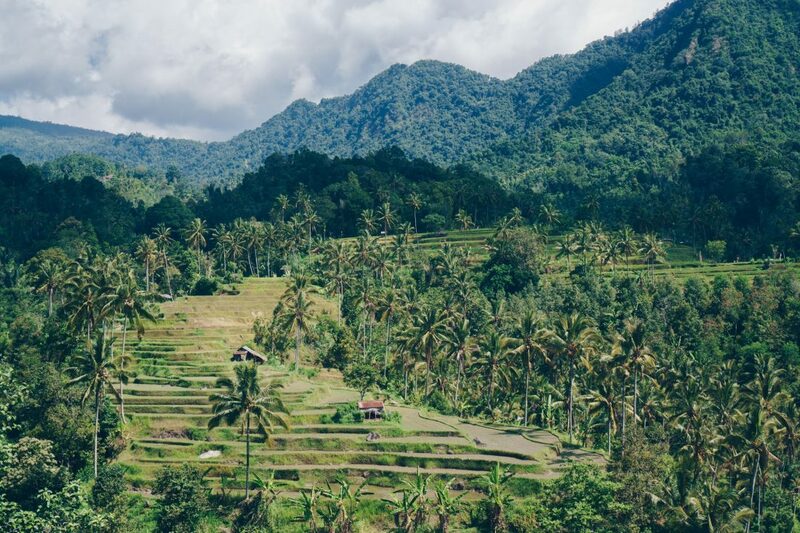 Almost before the end, there was a small local restaurant named Warung Fiji, which had a magnificent view over rice terraces and the mountains. The view itself is a reason to stop at this place. Soon after the Warung, there was a final parking spot with a small pathway going down the hill. Be prepared that it’s also one of the hardest waterfalls to get to. On the way down you will pass a ticket office. 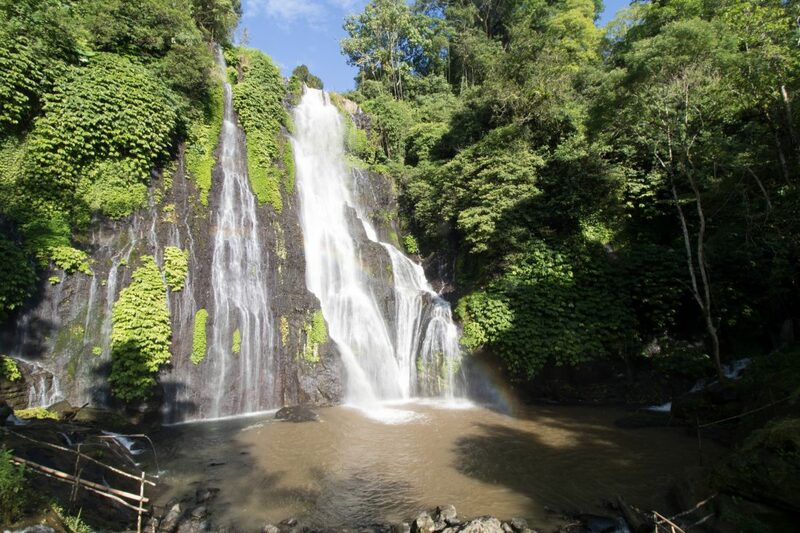 To our surprise, there are two waterfalls in the area – Sekumpul and Fiji. We followed the stairs down to a crossroad and saw clear signs pointing to both waterfalls. It was almost impossible to go wrong. Many people climbed up the rocks, we decided to step even further and went to bath under the waterfalls. It was an unforgettable experience to see something so fierce and strong close by and even more remarkable when we saw a rainbow occur in front of our eyes when sunbeams touched flying waterdrops. Just a short walk away from Sekumpul lies Air Terjun Fiji or the so-called Lemukih waterfall, named after a nearby village. After the exhausting descend to reach the Sekumpul waterfall it was a special bonus to have Fiji so close by. We went a little back from Sekumpul to the crossroad and followed the sign. After 200-300 meters there was another ticket booth. We showed our combined ticket, the one we bought earlier (15.000 IDR) and followed the path for another 5-minute walk beside the river. What was waiting for us at the end of the path was another breathtaking waterfall. 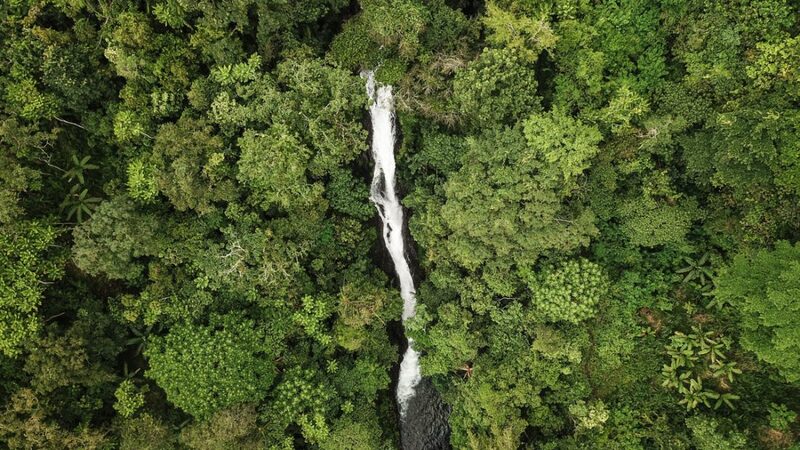 Fiji is an impressive gem on the Bali waterfalls list, with it’s three massive streams falling from different sides (which are causing a lot of noise). To go a little closer we had to cross the cold river, and jump from rock to rock until we got next to the streams. Again, we just stood there and felt their power, feeling so grateful to be there. After taking in all that beauty for a long moment, we dried ourselves off and started our journey back. To tell the truth, the way back to our bike was physically tough, but still, it was so worth it. If you visit Bali without swimming in a waterfall, have you even been to Bali? Bali is a waterfall lovers paradise and offers all kind of shapes and sizes of falls. 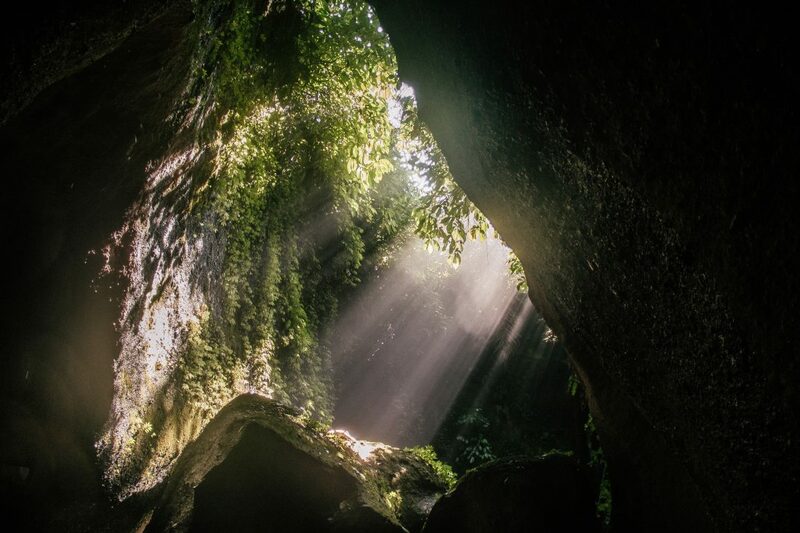 Some hidden in the lushest jungle which can only be found after an exhausting hike while others are secluded within caves, offering incredible light spectacles. One thing all Bali waterfalls have in common is that you have to get there as early as possible to have the best light and fewer tourists. 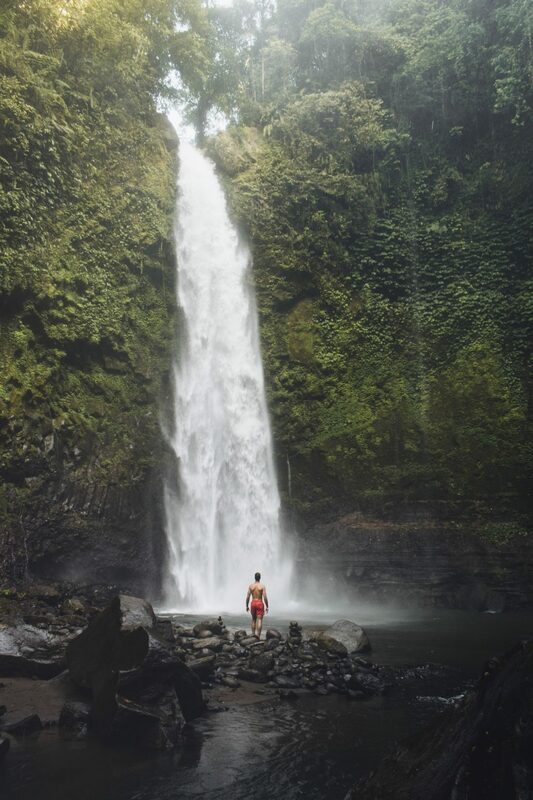 Located about a 1,5-hour drive northeast of Ubud and only a short walk of 15 minutes I found the most magical waterfall I have ever seen – Tukad Cepung! 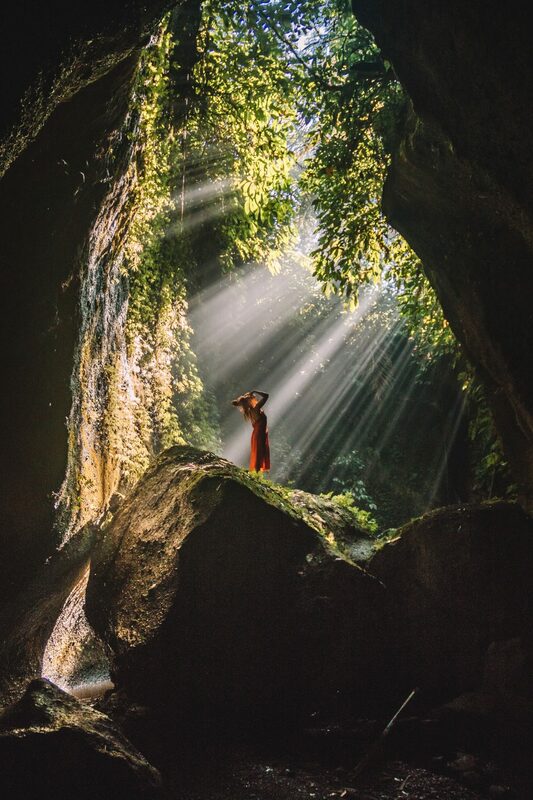 The light rays are just unreal, it is easy to understand why this is one of my top Bali waterfalls! You’ll find the Tukad Cepung waterfall within a small cave system. Not only will you see beautiful cascading water, but also perfect rays of light! Make sure to arrive no later than 10 AM in order to see the light rays. For your day tour, I recommend heading further east after the waterfall to visit the Pura Lempuyang Luhur which is known for its impressive gates offering an amazing view of Mount Agung. To end your day stop at the beautiful Tirta Gangga Water Palace not far from Pura Lempuyang Luhur. The Banyumala Twin waterfall, located north of the twin lakes in Munduk, is a pretty spectacular sight! Open for tourists for only a year this fall is still relatively undiscovered which makes it even more special. Two separate masses of water are cascading down over rock and greenery and creating beautiful rainbows. Although it’s very secluded, so a bit of a hike to get there, it is super lush and green which makes it 100% worth the walk! I visited a day after it had been raining, which unfortunately meant that the pool was brown and muddy. In addition, the mud made it harder to get back to the main road as the path between the road and parking isn’t paved. My tip: avoid visiting the waterfall if it’s rained a lot as you might have trouble driving up the hill! 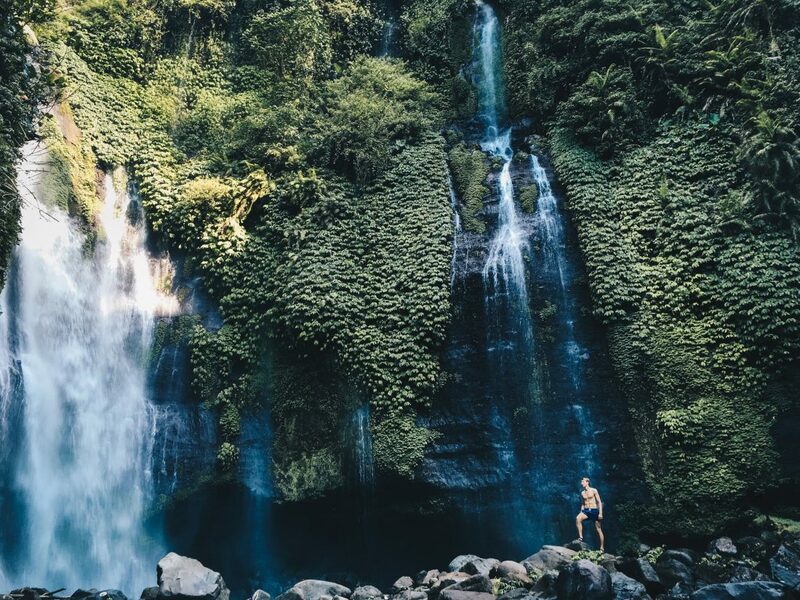 Is there another Bali waterfall which should be on our TOP list? For your ultimate guide for 2 weeks on Bali check our Bali Itinerary.